Across the country, transitional kindergarten programs are rising in popularity — and Hope Leadership Academy is one of the few schools in the Kansas City area to offer one. 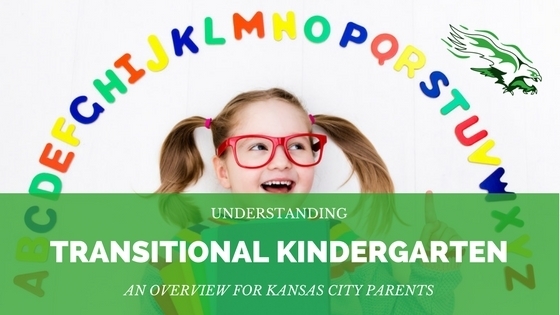 But what is transitional kindergarten exactly, and is it right for your child? We’ve compiled the following guide to help you understand just what it is, what the benefits are, and how it’s different from preschool, pre-k, and traditional kindergarten. You’ve heard of pre-school, pre-k, and of course, kindergarten — but what is transitional kindergarten? In the state of Missouri, to be eligible for kindergarten your child must turn 5 before August 1 of that same school year. If you’re the parent of a “young five,” however, your child may be eligible to start kindergarten based on their age, but for a variety of reasons, you may have questions about if they’re developmentally ready to start kindergarten. Transitional kindergarten programs are meant to bridge the gap between preschool and kindergarten. They encourage socialization, hands-on learning, and literacy development with a focus on being read to and vocabulary development. Emphasis is also put on learning through play, supporting curiosity and imagination. There is less of a focus on academic rigor than traditional kindergarten. In other words, five year-olds in transitional kindergarten will get a jump start on their ABC’s and 1,2,3’s, but also equally importantly, learn social skills and how to navigate social boundaries as well as to emotionally adapt to a school environment. This means things like sharing and playing with their friends, waiting in line, waiting their turn, and even using the bathroom throughout the school day. These lessons are taught primarily through play-based learning. Why? Most of all, this is the time we want kids to fall in love with school — something they may not have a chance to do if they’re struggling through kindergarten. Who is transitional kindergarten for? Every kid has their own strengths and struggles, but it may be especially difficult for some five year-olds to learn fine or gross motor skills, to socialize with their peers, or to even make it through a full school day on their own. Many times that includes the “young fives” we mentioned above — children who have had their fifth birthday by the kindergarten cut-off rate, but very close to it, making them a “younger” five than other kindergarteners. Often, they aren’t developmentally ready — regardless of age — to start kindergarten yet. Approximately 10 percent of parents in the U.S. decide to delay their child’s kindergarten entrance, with boys being delayed almost twice as much (Scholastic). Because of this, transitional kindergarten is being offered as a solution; some states, such as California, have even adopted transitional kindergarten across their public schools. Does this mean my child will still go to first grade the next year? Not necessarily — more often, it means that your child will start traditional kindergarten the following academic year. This enables them the appropriate time to developmentally, socially, and emotionally prepare for kindergarten and beyond. What’s the difference between transitional kindergarten and preschool? Transitional kindergartens are part of the public school system. For example, if your child attends HLA’s transitional kindergarten, they would move on to traditional kindergarten at HLA the next year. It also means their kindergarten teachers — both transitional and traditional — have met the state requirements to teach kindergarten in the K-12 school system. Preschool teachers, on the other hand, will have been certified through other child development programs. Transitional kindergarten teachers, then, are prepared to adapt their curriculum based on an number of traditional kindergarten requirements and the development needs of their students — emotional, social, and academic. They are uniquely able to address the achievement gap between younger kindergarten students, and encourage the self-confidence necessary to set a foundation for future academic success. Kindergarten itself has become so rigorous that transitional kindergarten can be thought of more like kindergartens of the past. While some preschools may offer structure along with play, only transitional kindergarten is taught by certified teachers with the ability to prepare students for kindergarten at their same school. Is transitional kindergarten free? How is it paid for? Transitional kindergarten at HLA is part of a free public school education, paid for just like traditional kindergarten. That means that another benefit to enrolling your child is that even though they may not be ready for full kindergarten, you don’t have to pay another year of preschool or daycare fees. How can I help prepare my child for kindergarten at home?